Dr. Bohon has owned the Animal Hospital of Orleans since 1993. She graduated from NCSU College of Veterinary Medicine in 1991 with internships in oncology, dermatology, and behavior. She, along with her husband, Chip, and daughter Kaitlin, have 4 dogs, 4 cats, 1 pony, 2 mini donkeys and 6 Nigerian dwarf goats. Dr. Family has been with the Animal Hospital of Orleans since June 2013. He graduated with a BS from Siena College in 1971 and received his DVM from Cornell University School of Veterinary Medicine in 1976. Dr. Family was born and lived in upstate NY, but has had a home on the Cape for 26 years. He and Diane recently moved to the Cape full-time with their cat, Wembly. Dr. Family is also an avid runner. 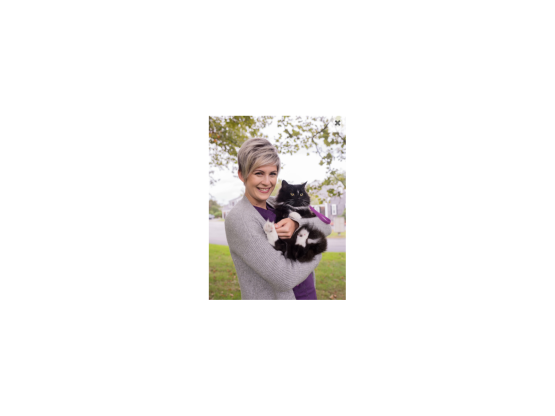 Dr. Kirby-Madden has been with the Animal Hospital of Orleans since November 2018. 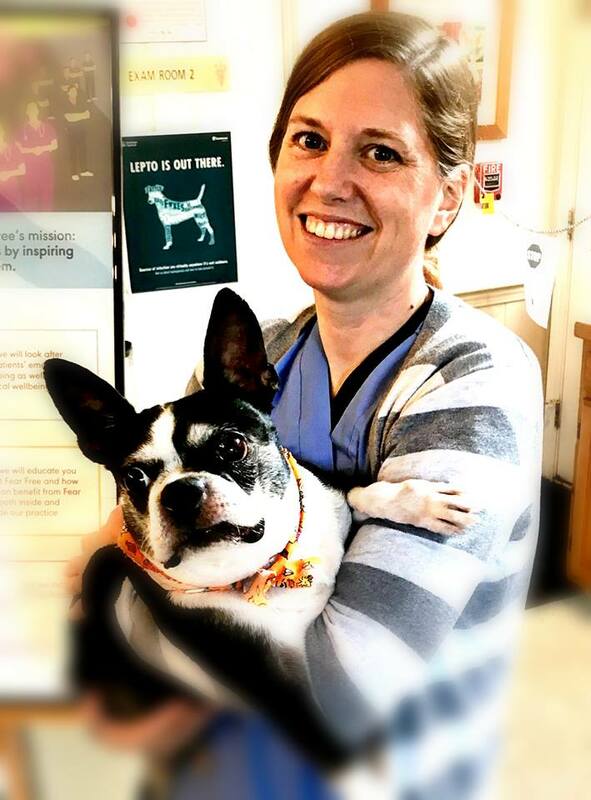 She earned her undergraduate degree in English from the University of Vermont in 2004, and her Doctorate of Veterinary Medicine in 2014 from The Ohio State University. Her family has lived in Orleans for more than 40 years and she grew up spending summers at Nauset. 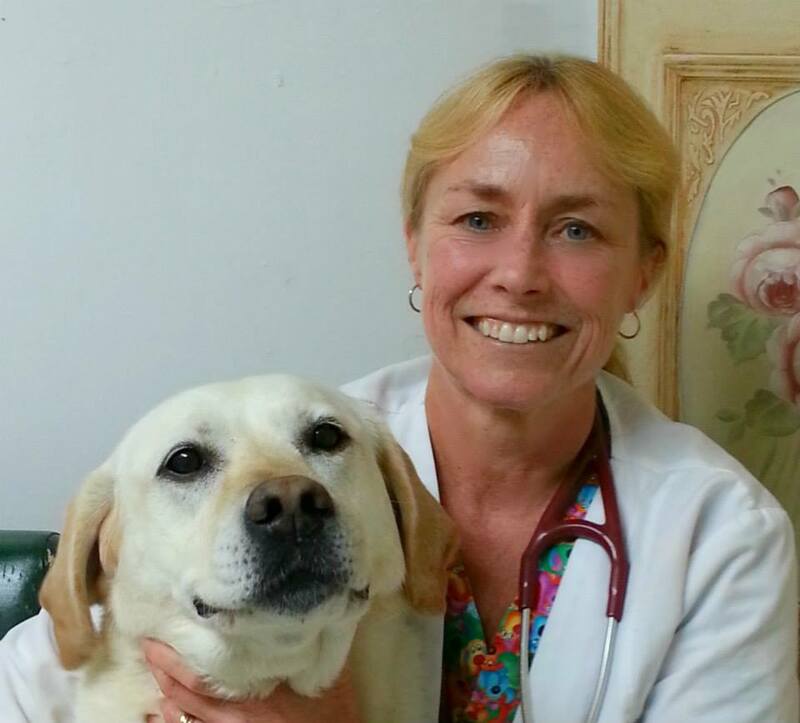 Dr. Kirby-Madden also owns and runs Massachusetts Veterinary Behavior, focusing on behavioral medicine ranging from aggression to fear/anxiety to litterbox problems. While she is pursuing specialty board-certification in behavior, she also greatly enjoys general medicine and surgery and has a special fondness for senior pets. She lives with 3 dogs, 3 cats, a husband and a feisty red-headed toddler in Brewster. Renee has been with the Animal Hospital of Orleans since 1998. 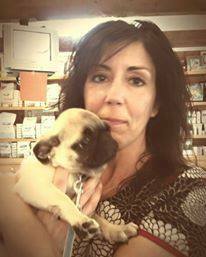 She graduated from Becker College's Veterinary Technician program in 1995. Renee did her internship at The Roger Williams Park Zoo. 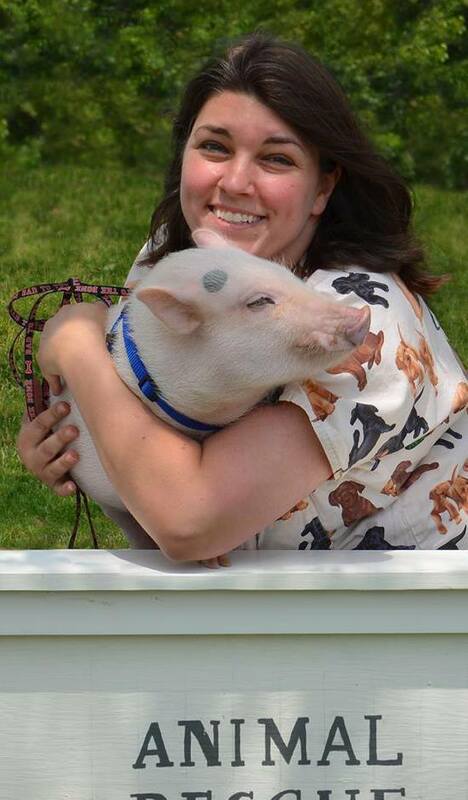 She is currently working as both a Certified Veterinary Technician and Practice Manager. She lives in Harwich with their 3 mini pigs, "Melvin", "Fern", and "WeeBitz", two frisky felines, "Scarab" and "Kara", and an unknown number of Koi! Diane has been with the Animal Hospital of Orleans since October 2000. She started as a kennel technician and is currently employed as a veterinary technician. Diane and her family have a few cats romping around the house. Kristin has been employed as a receptionist with the Animal Hospital of Orleans since September 2002. She graduated from Barnstable High School in 1999 and attended Cape Cod Community College. Kristin and her family have 2 cats, Flapjack and Waffles, a guinea pig named Herbert, and a dog named Ada! She enjoys photography, drawing, bird-watching, gardening, baking, and spending time with the family. Jen joined our team in July of 2008. 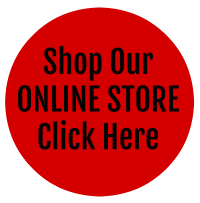 She is our pet lodging facility manager and a Certified Pet Care Technician. She graduated from Nauset Regional High School and attended Drexel University, majoring in photojournalism. Jen and her husband, Adam, have three dogs, Larry, Walter, and Fredrick. She is a certified yoga instructor and also enjoys photography, reading, baking, and knitting. Melissa has been employed at AHO since January 2014. She has worked in the veterinary field for many years. She has chickens and quails, a cat named Beautiful Snowflake, and two Bloodhounds, Buckshot and Clementine. She enjoys fishing, boating, photography, gardening, hunting, hiking with the dogs and spending time with her husband and son. 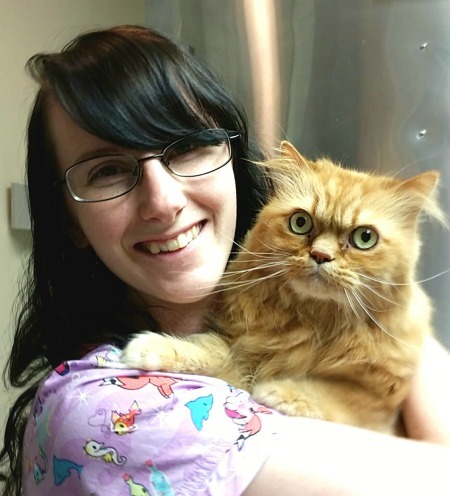 Joanne has been a member of our healthcare team since 2012 as a pet care technician. She comes to us with over a decade of pet care experience. She graduated from Nauset High School in 1990 and attended Cape Cod Community College. Joanne lives in Eastham with her 2 children, 3 dog s and 4 cats. She enjoys reading, gardening, and sewing. Lisa joined our healthcare team in September 2014. She has 2 dachshunds, Toby and Benny, who are both rescues. She also has a kitten named Sammy. She has run 3 Boston Marathons and countless numbers of 1/2 marathons. Krystal joined our healthcare team in February 2017. She did her internship with us in the Summer of 2016 to receive her CVA from the Animal Behavior College program. She has 3 cats, Lexi, Bojangles, and Toulouse. Kelli joined our healthcare team in November 2018. She graduated from Barnstable and attended Cape Cod Community College. She has been in the veterinary field off and on for 15 years. Born and raised on Cape Cod, Kelli has 2 kids and 2 dogs. She also does dog walking and pet sitting. Megan joined our healthcare team in February 2019. She graduated from the State University of New York at Cobleskill with a Bachelor's in Animal Science. She earned her Certified Professional Dog Trainer - Knowledge Assessed title in the Fall of 2015. She has two cats - Fiona and Josie and enjoys baking/cooking, yoga, painting, and training her cats to do tricks. Benny is member of our health care team. He assists with welcoming clients, monitoring the halls, and making sure everyone is doing their jobs. When you're at the office, make sure to say hi to Benny, he enjoys the attention!